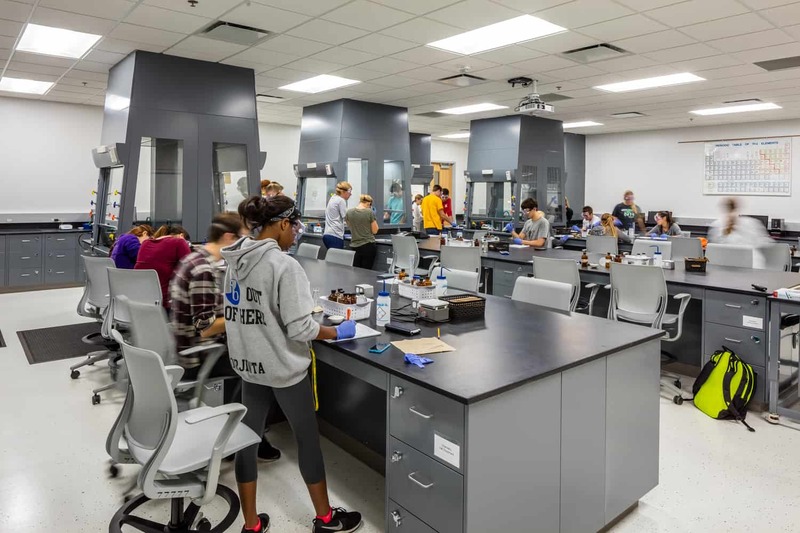 Continually pushing research and education to the next level, North Dakota State University (NDSU) strove even further by developing an active learning classroom building dedicated to science, technology, engineering, and mathematics (STEM) education. 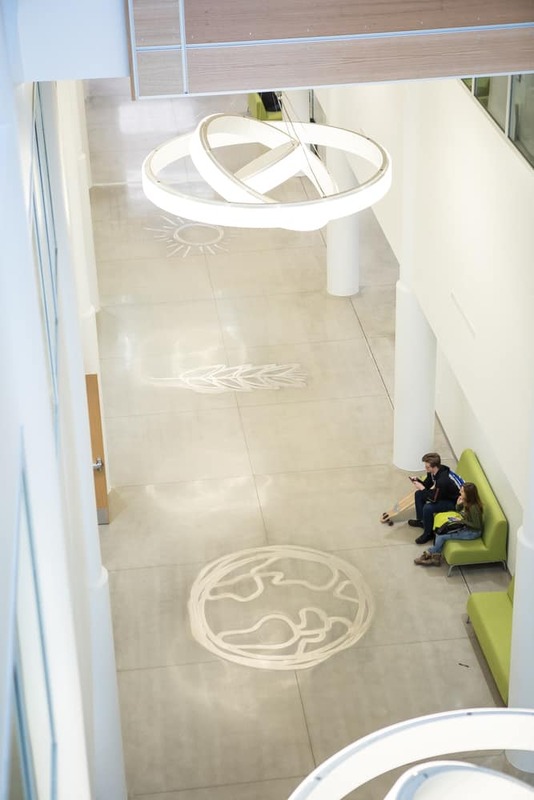 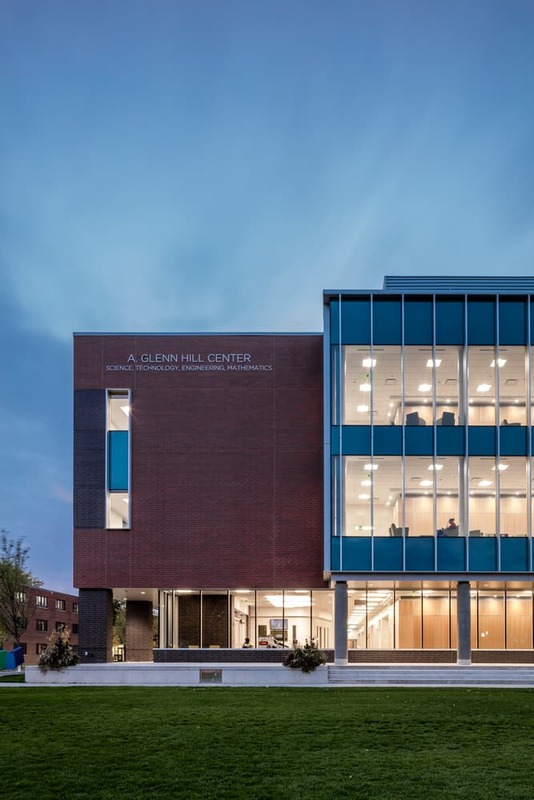 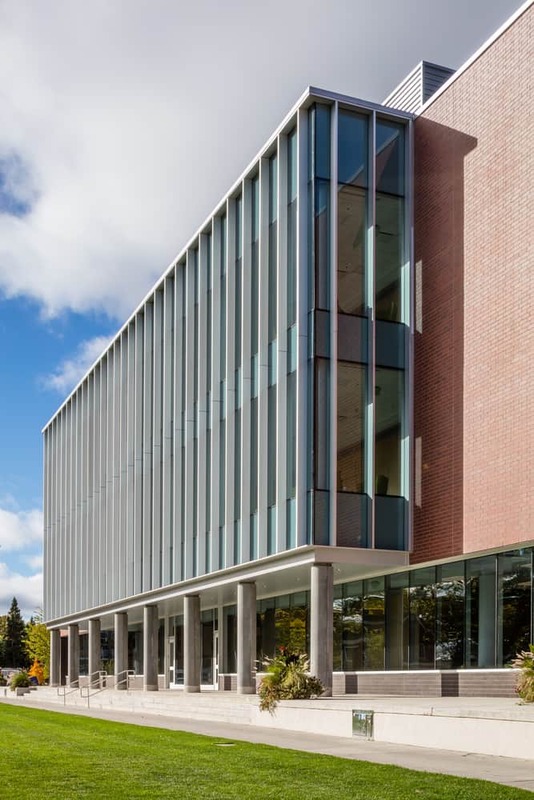 The new A. Glenn Hill Center, named for an outstanding past professor, provides space for multiple undergraduate disciplines to meet, collaborate, and discover under one state-of-the-art roof. 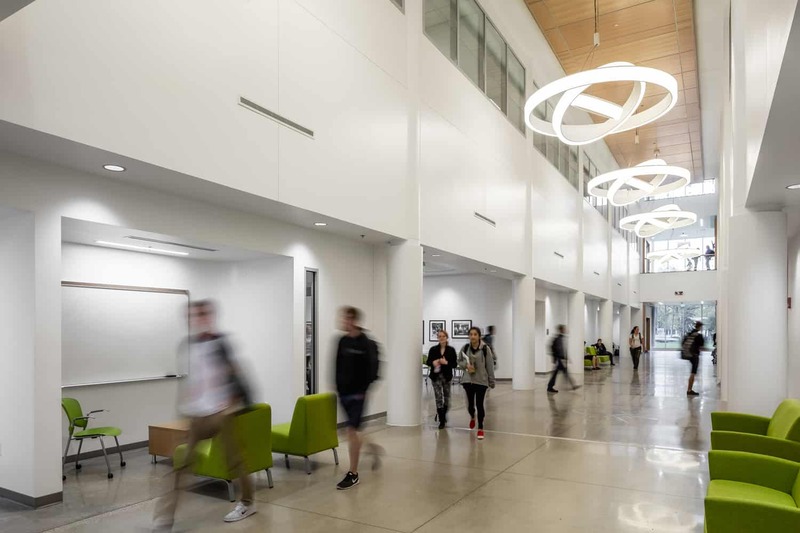 The Hill Center’s spacious auditoriums, flexible teaching labs, and active learning classrooms remove physical barriers to support immersive, mobile teaching styles that boost students’ experiential education. 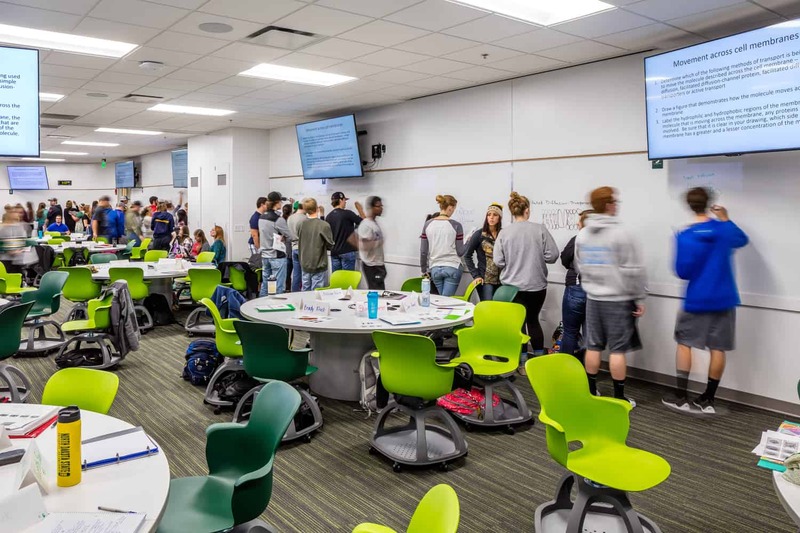 Movable furniture combined with pod-like group tables, screens, electronic device plug-ins, and whiteboards shift away from traditional lecture-style methods to provide students and faculty a richer connection in real time. 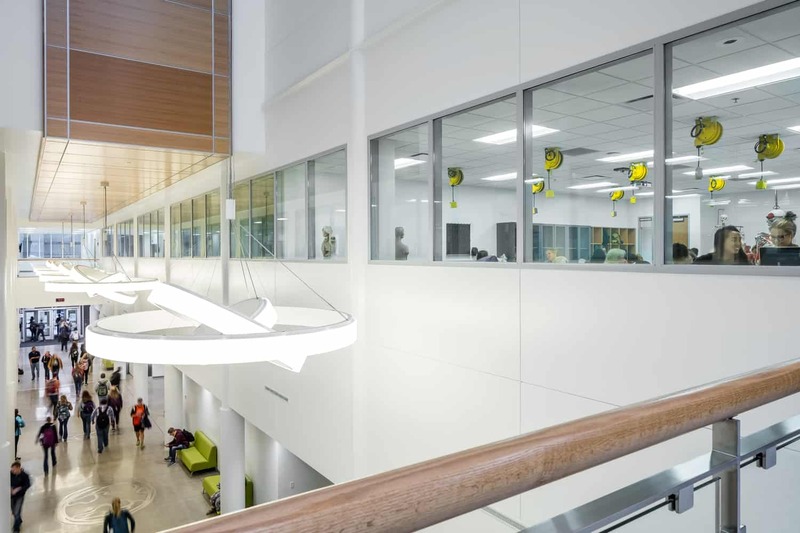 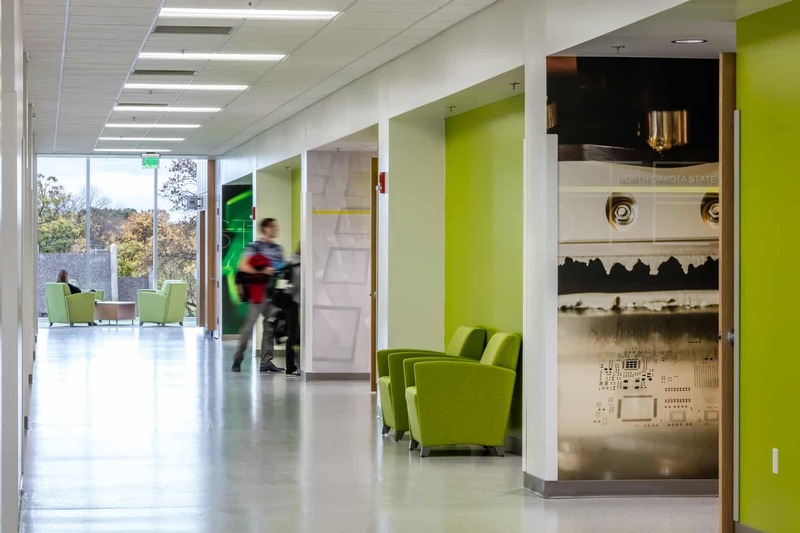 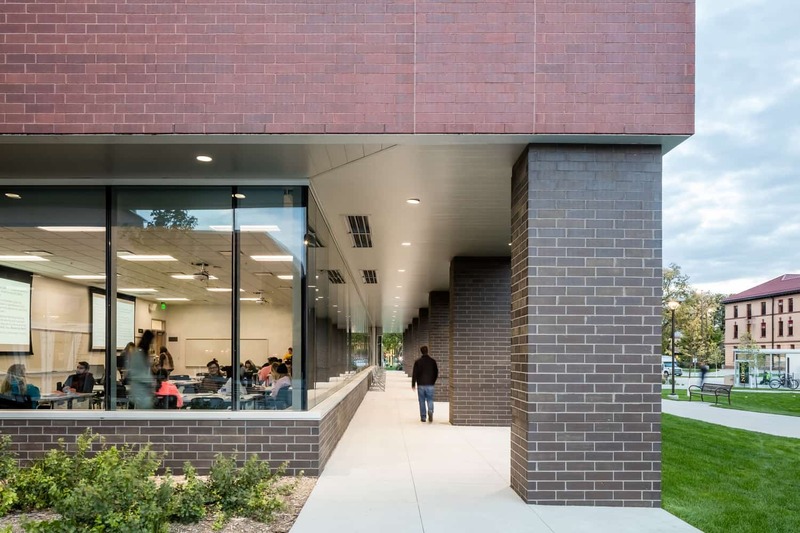 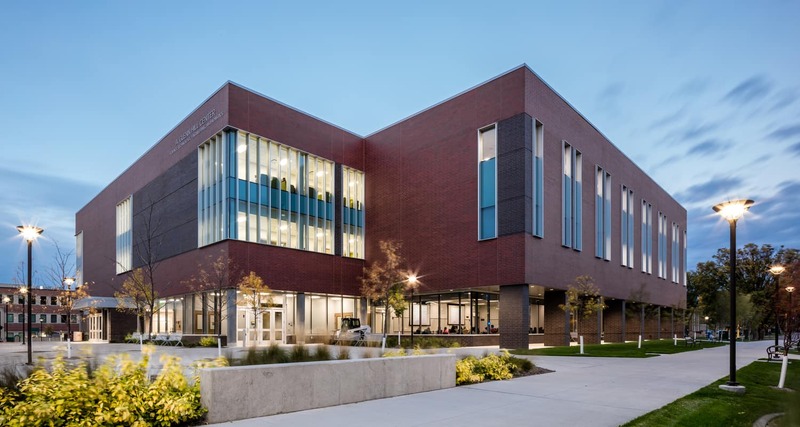 To break down cross-disciplinary barriers, a multi-story entry and open seating lined by floor-to-ceiling windows invite the rest of the NDSU community to fully engage in the STEM experience. 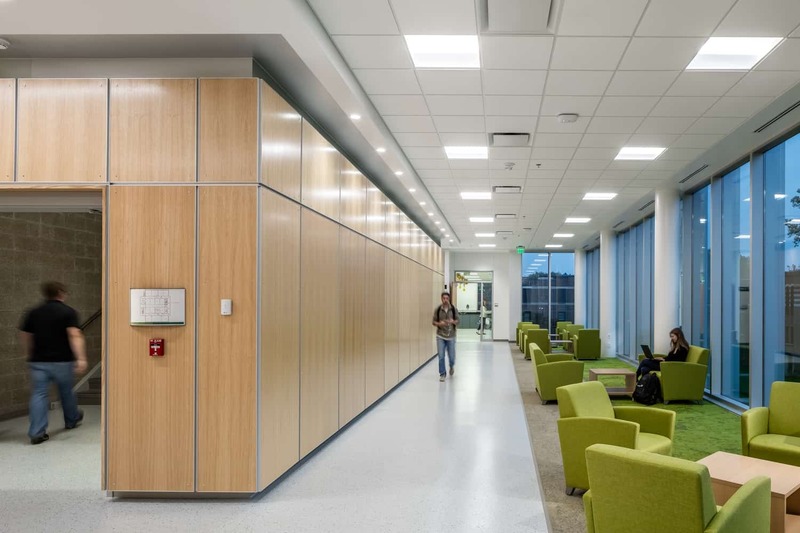 Brightly colored furniture options mix with open and closed study alcoves along the main corridor to complete the welcoming effect. 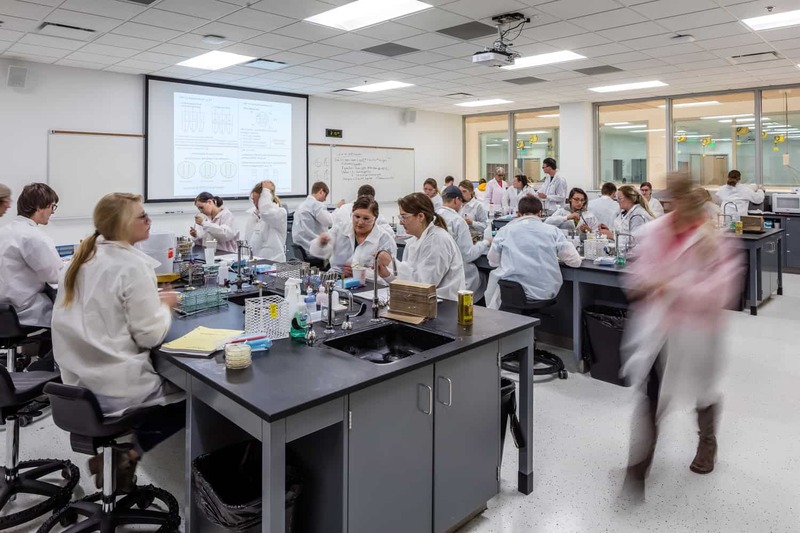 Through forward thinking and classroom planning, the Hill Center empowers students and faculty to delve deeper into both research and education. 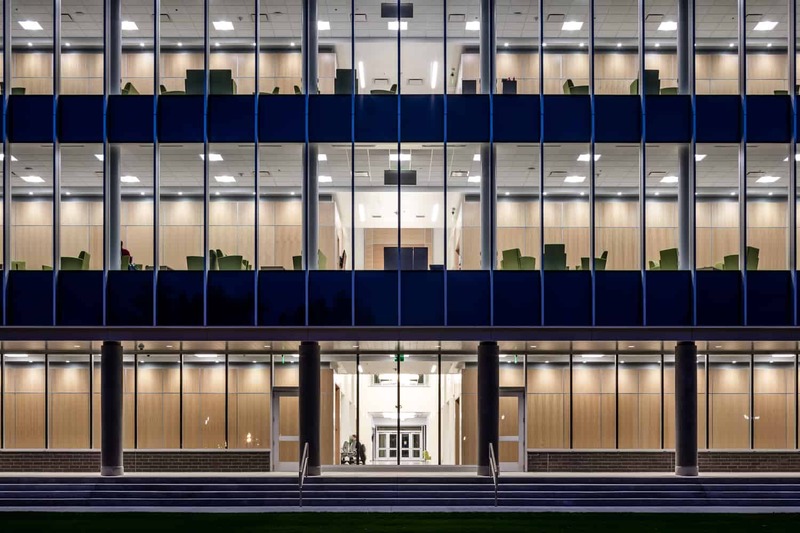 Designed in collaboration with architect of record, Zerr Berg Architects.